This book sets out the case for a cosmopolitan approach to contemporary global politics. It presents a systematic theory of cosmopolitanism, explicating its core principles and justifications, and examines the role many of these principles have played in the development of global politics, such as framing the human rights regime. The framework is then used to address some of the most pressing issues of our time: the crisis of financial markets, climate change and the fallout from the wars in Afghanistan and Iraq. In each case, Held argues that realistic politics is exhausted, and that cosmopolitanism is the new realism. See also Garrett Wallace Brown and David Held's The Cosmopolitanism Reader. David Held is Graham Wallace Professor of Political Science at the London School of Economics and Political Science. Introduction: Changing Forms of Global Order. The Paradox of Our Times. Economic Liberalism and International Market Integration. The Impact of the Global Financial Crisis. Shared Problems and Collective Threats. Democratic Public Law and Sovereignty. Summary of the Book Ahead. 1 Cosmopolitanism: Ideas, Realities and Deficits. Globalization and Democracy: Five Disjunctures. Addressing the Institutional Deficit: Reframing the Market. 2 Principles of Cosmopolitan Order. From Cosmopolitan Principles to Cosmopolitan Law. 3 Restructuring Global Governance: Cosmopolitan Law and Institutional Requirements. The Idea of Cosmopolitan Law. 4 Violence, Law and Justice in a Global Age. Islam, the Kantian Heritage and Double Standards. 5 Reframing Global Governance: Apocalypse Soon or Reform! Why Be Concerned with Global Challenges? Deep Drivers and Governance Challenges. Global Governance: Contemporary Surface Trends. Problems and Dilemmas of Global Problem-Solving. Global Governance and the Democratic Question. 6 Parallel Worlds: The Governance of Global Risks in Finance, Security, and the Environment. Global Governance and the Paradox of Our Times. The Global Governance of Finance. The Global Governance of Security. The Global Governance of the Environment. Conclusion: Crisis, Politicization, and Reform. 7 Democracy, Climate Change and Global Governance. Democracy I: The Democratic Nation-State and Climate Change. Democracy II: Global Governance and Climate Change. The Policy Debate: Squaring the Circle? The Political Elements of a Democratic Global Deal. Democracy and the Policy Menu Ahead. Table 1: Cosmopolitan Principles and Justifications. Table 2: Institutional Dimensions of Cosmopolitanism. Table 3: Directions of Cosmopolitan Politics. "A cohesive, articulate and powerful plea in favour of a deep transformation of the world order." A comprehensive study of the phenomenon, illustrated by well-chosen examples." "Held articulates a number of feasible reforms, sustained by universal ethical and political commitments, that can be undertaken to address specifically global problems. His deft and clear-eyed rendering of the changing trajectory of cosmopolitan thought makes this book an informative introduction to the topic." "David Held formulates a robust cosmopolitanism and imaginatively applies it to the great faults of our international order: its lack of effective environmental-protection, peacekeeping, and global-finance regimes. The pragmatic reforms he envisions would undoubtedly make our world more democratic and just." "David Held's new book gives the lie to those who regard cosmopolitanism as a vague set of indeterminate woolly ideals. This is as grounded and as comprehensive an account of the cosmopolitan agenda as one could wish for." "In a world beset by financial crisis, nuclear proliferation and climate change, our capacity for international co-operation and solidarity has rarely seemed so inadequate, or the need for them more urgent. In this book, David Held provides a powerful and persuasive analysis of this paradox of our times, and how cosmopolitan principles offer a way to overcome it." "National realpolitik is dead, long live cosmopolitan realpolitik! 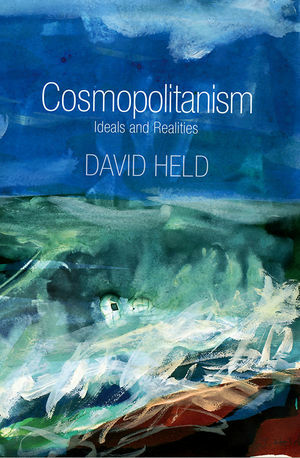 David Held's robust development and defence of cosmopolitanism provides a masterful framework for the urgent reorientation required - both political and cognitive - by an unevenly interconnected world." The book offers a novel approach to thinking about global politics and case studies of its application by one of the best known authors in the field. The author sets out a philosophical and practical account of contemporary global politics from a cosmopolitan point of view. Includes examples such as the financial market crises, climate change, and the fallout from the wars in Afghanistan and Iraq. This will appeal to undergraduates and graduates in politics, political philosophy, social theory, sociology and international relations.